As his alarm goes off at 6 a.m. Monday, Michael Zuaro, 46, wakes up to get ready for another long day. 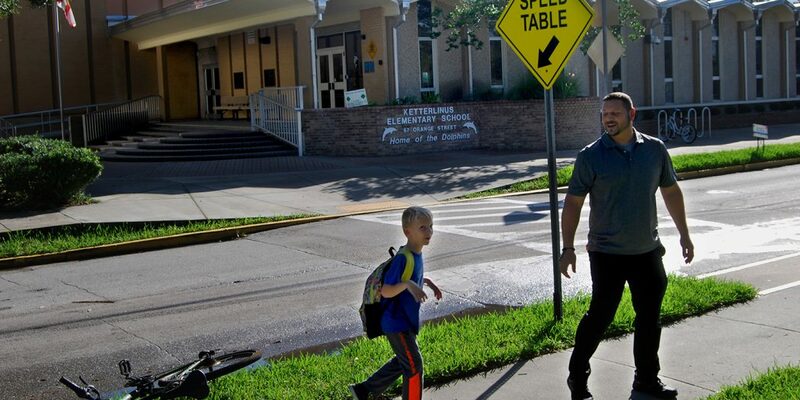 The single father makes sure his three children are fed and dressed before they leave his condo in St. Augustine, Florida, to take the bus to school. Standing 6 feet, this broad-shouldered, former college football player is referred to by many of his friends and family as a “giant teddy bear.” He was born and raised in Westchester County, New York, before moving to Florida in 1990, where he started his journey to teaching. Michael began working with at-risk teens to serve as a positive role model. 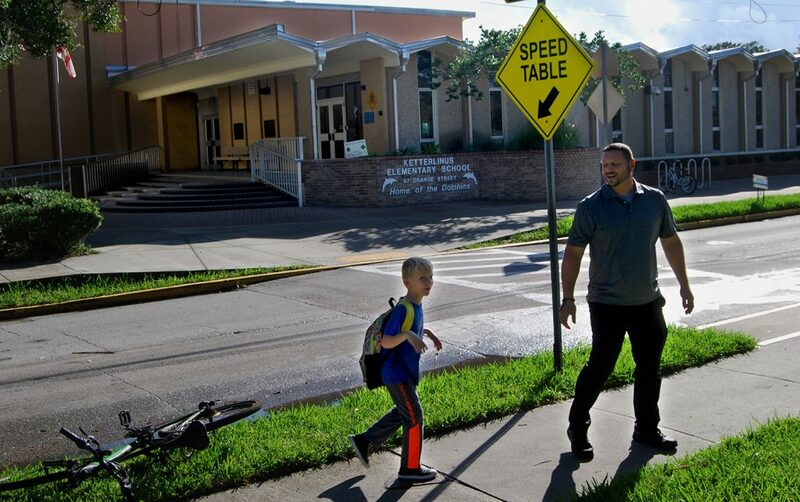 He then became a resource teacher at the Florida School for the Deaf and the Blind in St. Augustine, where he currently helps students with visual impairments. As a white male, Michael resembles the majority of St. Johns County’s demographics. But he’s a minority when it comes to politics. 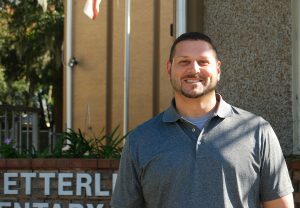 He is one of the 20 percent of voters in the county who is a registered Independent, according to the Florida Division of Elections. As one of 41,879 registered voters in St. Johns County with no party affiliation, it’s people like Michael who will likely play a significant role in the state’s midterm election this Tuesday. In the past, Michael voted on both sides of the political aisle, casting votes for Barack Obama in 2008, Mitt Romney in 2012 and Donald Trump in 2016. Although his votes were never solely based on party, Michael plans on breaking this routine for the midterms and voting Republican across ballot. Michael’s main concerns are border security, a strong economy, reasonable taxes, national security and drug enforcement. He believes Republicans can do a better job achieving these goals than Democrats. Growing up in New York, Michael has always had a voice in politics, something he learned from his parents. His father, Steven, who passed away in 2011, was a staunch Republican, while his mother, Carol, a retired teacher’s assistant, was a registered Democrat. Carol, who now lives in Cocoa Beach, is following Michael’s plan to vote Republican this upcoming midterm election. She agrees with her son about most things, specifically about the direction the Democratic Party is heading in. “When I saw what was going on with the Democrats, I had enough,” Carol, 74, says. Both mother and son agree about some of the tactics Democrats have used in the past. They both say they hated the way Democrats treated Judge Brett Kavanaugh during the Senate judiciary committee hearings regarding his sexual assault allegations by multiple women, including Dr. Christine Ford. Michael says the political environment makes it difficult for people to have constructive discourse. He admits to being ostracized at work for his political beliefs, and says he feels that Democrats, which make up a large portion of his coworkers, are more concerned with someone’s character traits as opposed to actual policy. “I often hear my colleagues complain about many of the things the president is trying to address, though for some reason they see Trump as the problem,” Michael says. A topic that many of Michael’s coworkers disagree with him on is teacher pay. Like Michael’s coworkers, many teachers across the state want a pay increase. Michael says he would love to get paid more, but he worries about who would foot the bill. Unlike most of his colleagues, Michael says President Trump is doing a great job and that it would be difficult to vote Democrat because of the current state of the economy.